Have you used the city of San Diego’s NextRequest system to seek public records recently? If so, the San Diego Pro Chapter of the Society of Professional Journalists wants your help. In March 2016, the city of San Diego implemented a system called NextRequest to handle public records requests sent to the city. The goal, NextRequest said, was to help boost “transparency and openness.” Since its launch, NextRequest has received more than 5,300 requests for records, according to city data. 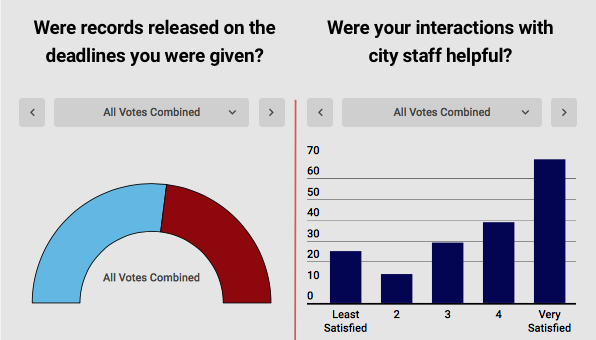 For local journalists and other members of the public, the system has become a vital tool when seeking information about city government operations. Now San Diego SPJ wants to assess how NextRequest is working. How is the system performing? How could it be improved? Take this survey and let us know. The results from this survey will be published on the San Diego SPJ website. We expect to also use the information to start a conversation with city officials about potential improvements, and perhaps as fodder for a panel discussion. Providing your name or contact information is optional. We will not share your contact information with city officials. Access to public records is your right. Your input will help us determine if the system is working properly for everyone in our community who seeks information on our local government.